The results couldn't be easier to read. 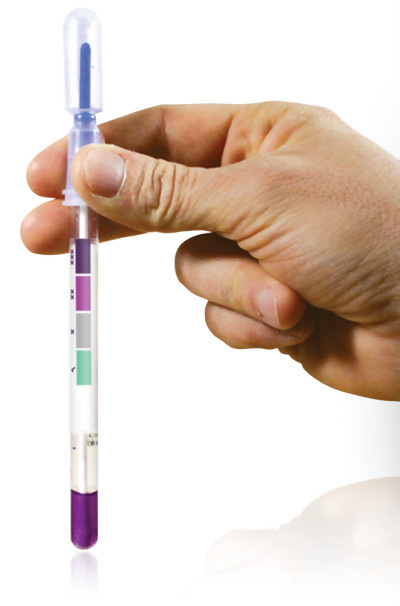 If protein is present in a sample, the reagent in the device will turn purple for immediate verification that is simple for any user to understand without interpretation or instrumentation. Detect protein residue in just minutes after you swab. With sensitivity down to 20 µg of protein, PRO-Clean provides a reliable indication of surface hygiene.